BRUSSELS (Sputnik) — The US share of liquefied natural gas (LNG) supply to the European Union increased ten times in the first quarter of 2017, reaching 6 percent, the European Commission said in a quarterly report on European gas markets released on Wednesday. "In this period [in the first quarter of 2017], the US became the sixth LNG supplier of the EU, covering 6% of LNG imports; in terms of market share, this is a tenfold increase compared to the whole year of 2016 when it was 0.6%," the report said. In 2016, there were a total of three LNG cargoes from the United States to the European Union, and in the first quarter of 2017 alone six US vessels were discharged in EU ports in Spain, Portugal and Malta, the report added. 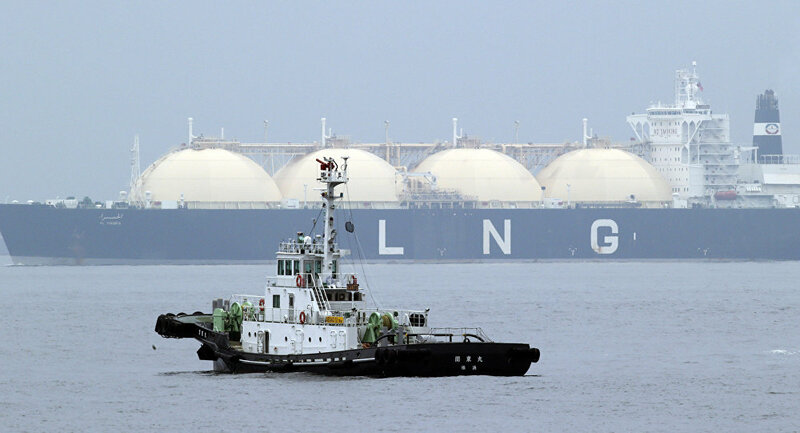 General LNG imports to EU slightly decreased, covering 12% of total extra-EU gas imports, compared to 14% in the same period of 2016, the statement added. However, imports in various EU countries differs significantly, with the volume of imports to Belgium falling by 57 percent, to Lithuania by 71, and imports to Spain and Italy rising by 4 and 13 percent. The imports to Greece doubled, and imports to Portugal rose in more than four times. Qatar remained the main LNG supplier to the European Union in the first quarter of 2017, with a share of 37 percent, followed by Algeria and Nigeria (both 20 percent), Peru and Norway (both 7 percent). US Gas in Europe: Can Trump Really 'Sell' American LNG to Europeans?